WRIA 9 and the Duwamish Blueprint Working Group have updated the 2006 draft of the Duwamish Blueprint: Salmon Habitat in the Duwamish Transition Zone, and the final document is available. Included with the Blueprint document are Appendix A (Project List), Appendices B-D (Scientific Basis, Revegetation Recommendations, Meeting Summaries), and the Reach Maps. 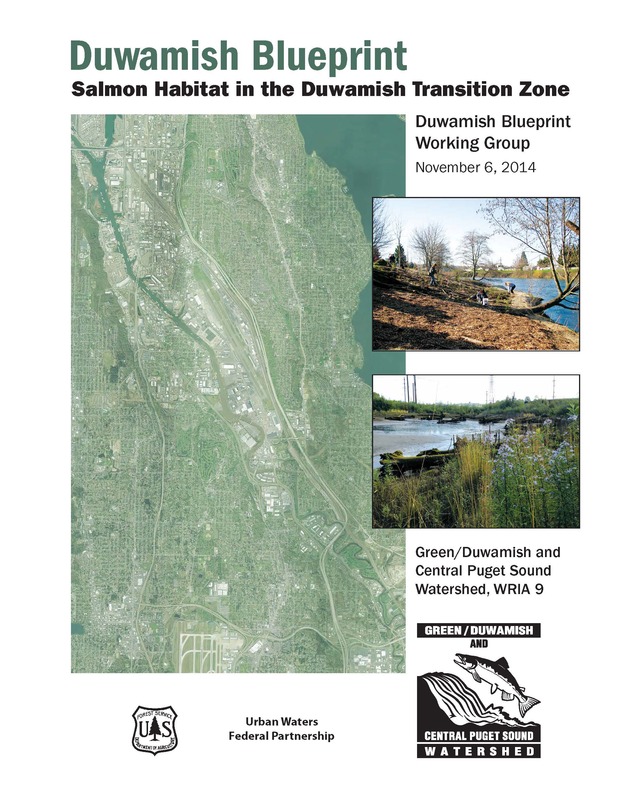 The Duwamish Blueprint is available in Adobe Acrobat (.pdf) format. Contact Matt Goehring at mgoehring@kingcounty.gov with questions about the Blueprint.